This was the eighth flight of the instrument. 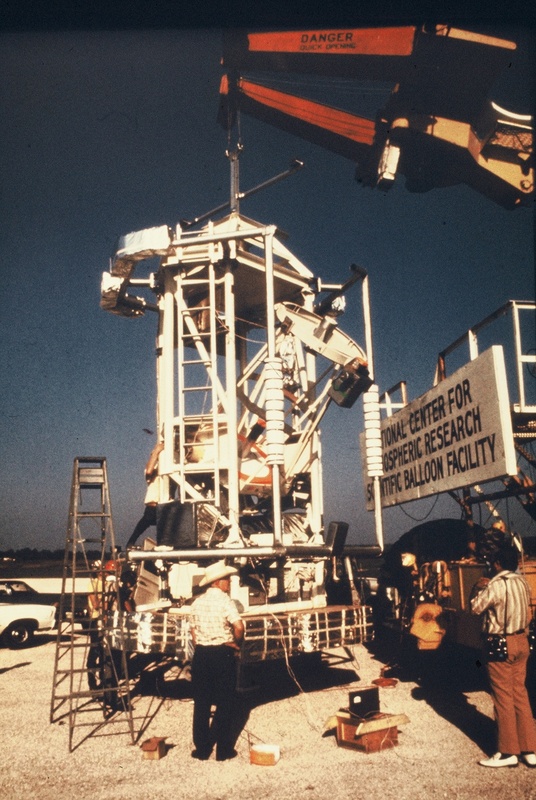 It was the first flight performed using a different detector at the focal plane: a four color single beam photometer developed by scientists of the University of Palermo, Italy. The instrument used four gallium-doped Ge bolometers operating at 1.8 °K in a liquid-helium dewar. The incoming telescope beam (f/13.8) was focused on the dewar entrance aperture, 4 mm in diameter, which limited a 1-arcmin-diameter field of view. The beam was then splited by an arrangement of reststrahlen crystals and mirrors, and the four beams so obtained were individually refocused, with f/1 optics, on four bolometer elements. Because of the frequency dependence of reflection and transmission for the crystals used, each beam leaving the reststrahlen assembly contained a well-defined wavelength band; the shortest wavelength beam (the one undergoing transmission through all crystals) was further passed through a multilayer interference filter to select a narrow spectrum between 18 and 22 µm. The other bands were centered at 42, 70, and 140 µm respectively. Because the wavelength bands were separated by amplitude division, the four beams coincided geometrically and all corresponded to the same resolution element in the telescope field of view. The materials employed for the reststrahlen plates were NaC1, KI, and CsI, in order of increasing wavelength of maximum reflectivity. During the flight were made observations of M17, the galactic center, the planet Jupiter. Also were performed elevation scans for background measurement. 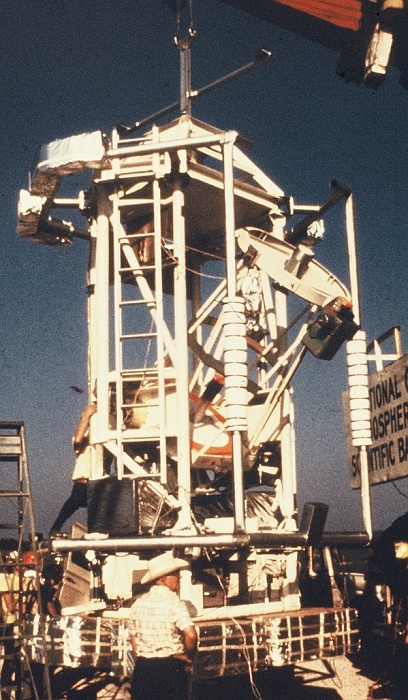 The mission was only partially successful as the telescope operated in back-up mode after the failure of the inertial guide system.